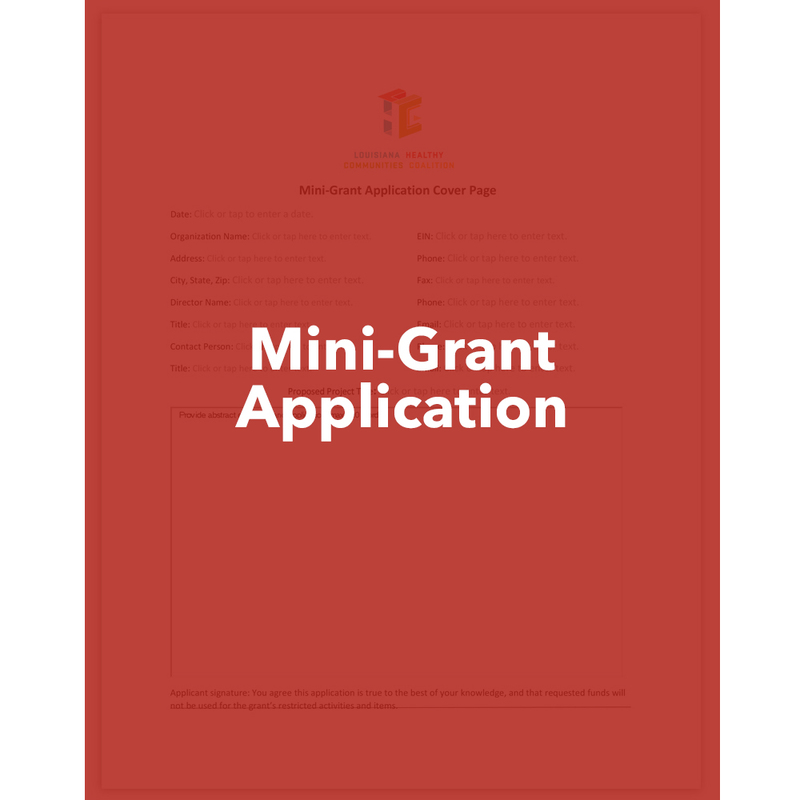 Download the Mini-Grant Application Cover Page here. 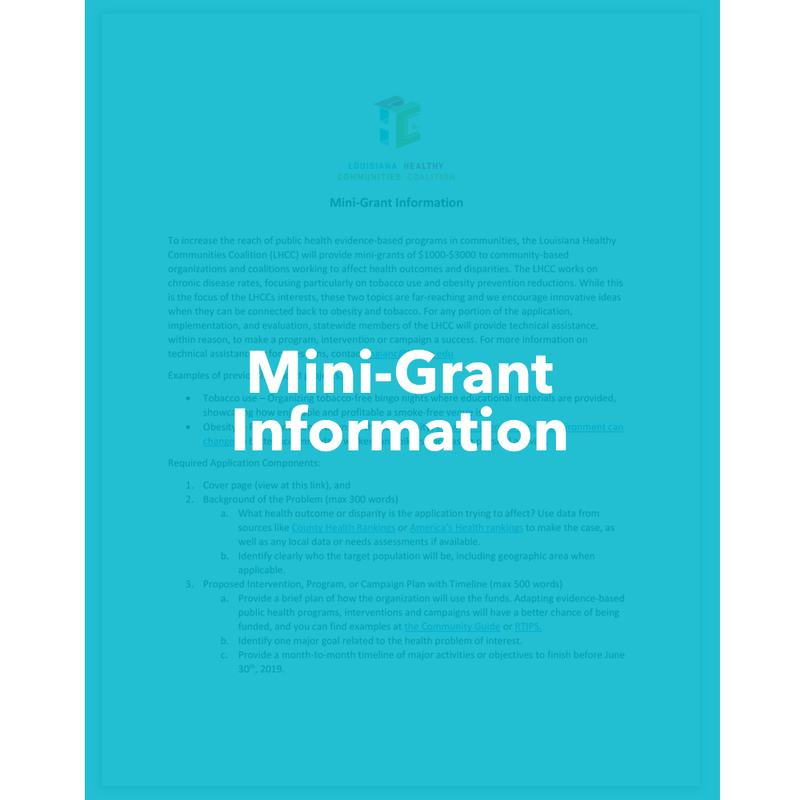 Find out if your community qualifies by downloading our Mini-Grant Information Guide here. One way to help communities become healthier is through a little “seed” money, as small investments can lead to big changes. Think of smoke-free signs, better lighting for a park trail so people feel comfortable walking at night, or even a crosswalk that allows people to safely cross a major thoroughfare. That’s why LHCC is offering mini-grants to communities. Click to the near right to learn more. And if you think your community qualifies, click to the far right to apply. Send fully completed applications to livewell@swlahec.com. Applications must be typed and sent in pdf format. Applications will be accepted starting on October 1st, 2018 and will be reviewed in the order received on a rolling basis until funds are no longer available. Notifications of awards will be made within a month of submission, with funds disbursed within a month following notification.